I was beyond giddy to be asked by Mollie Makes to contribute instructions for my clammy pouch. I am sure you have seen this zippy case in many of my pictures here and on IG. This little pouch is very near and dear to my heart because it includes bits of my very favorite fabrics! 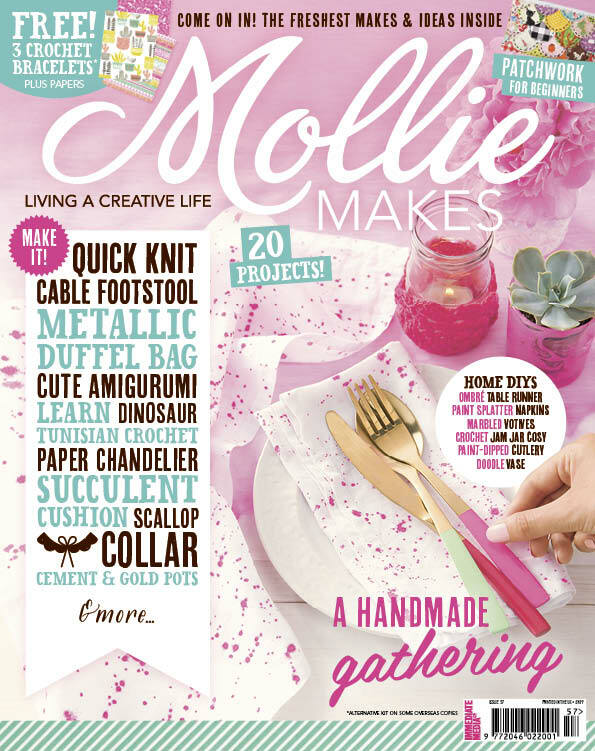 You will find the instructions in Mollie Makes Issue 57 which went on sale in the UK this week! I suspect it will be in the US in a few weeks. You can bet I will be hunting down a few copies! 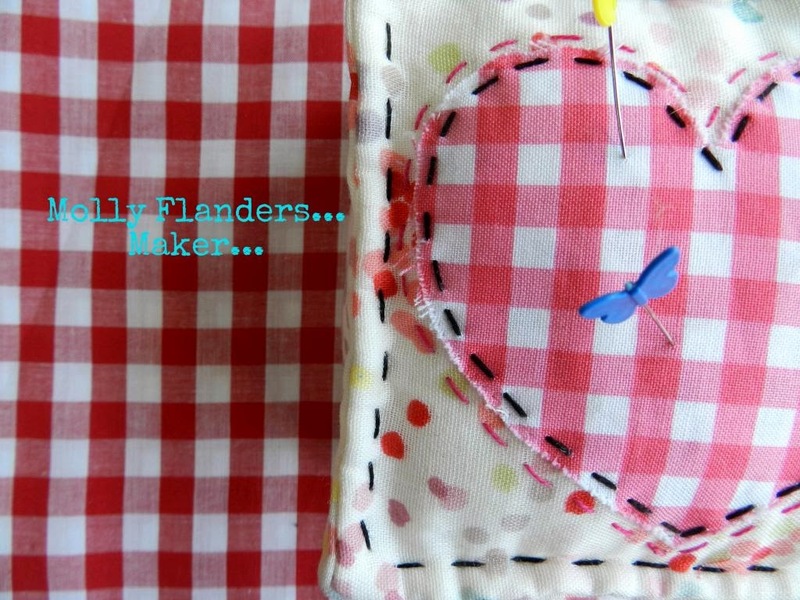 I love working with hand applique projects and the clamshell shape is one of my favorites. Plus the extra-special wonderful thing is...the size of your pouch can be easily adjusted...make it larger or make it smaller! And Tiger Lily (which we have in the shop at a GREAT price!) is perfect for this little project! Have a lovely Monday! I will be back soon to share with you my progress on the Spring Fever blocks! Yay! Congratulations!! How wonderful. 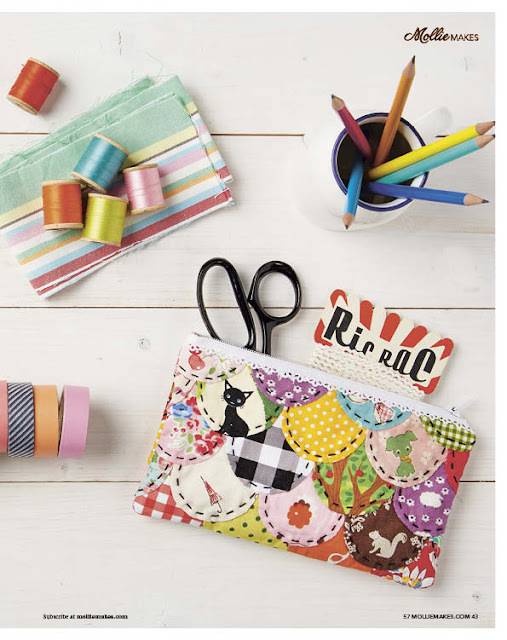 It's such an adorable pouch and I just love all the cute fabrics you used. I have started my hunt for a copy. I think I need to wait a little while longer for them to be freighted here from the UK and hit our newsagencies. I have only found older issues so far. I will keep looking! Awesome! 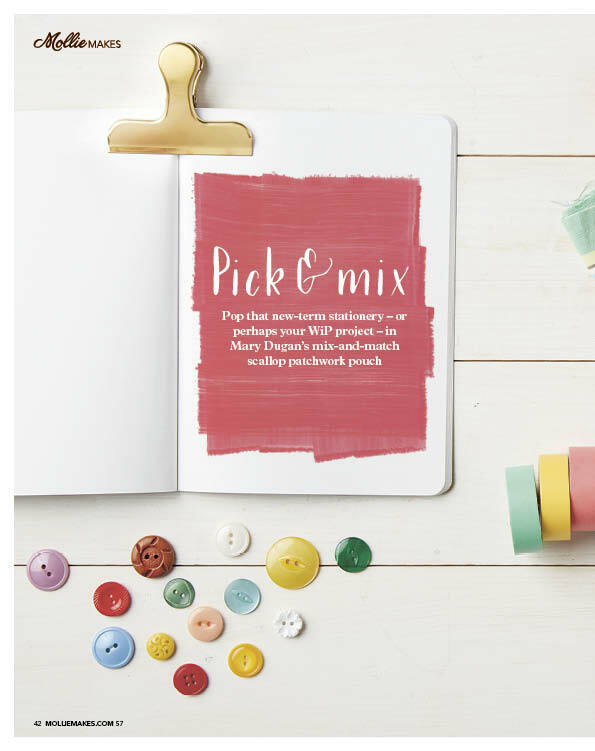 Such an adorable project!!! I bet there'll be lots of versions of this gorgeous pouch popping up everywhere soon. The article looks great! Congratulations!! Congratulations on this recognition! The pouch is adorable. But really... the magazine doesn't give you free copies?! That's supposed to be part of the deal! I hope they send you a few.